For people who take serious movies. The Beaulieus certainly are not cheap. But they deliver what you pay for. Loaded with professional features and flavoured with suberb optical & engineering quality. 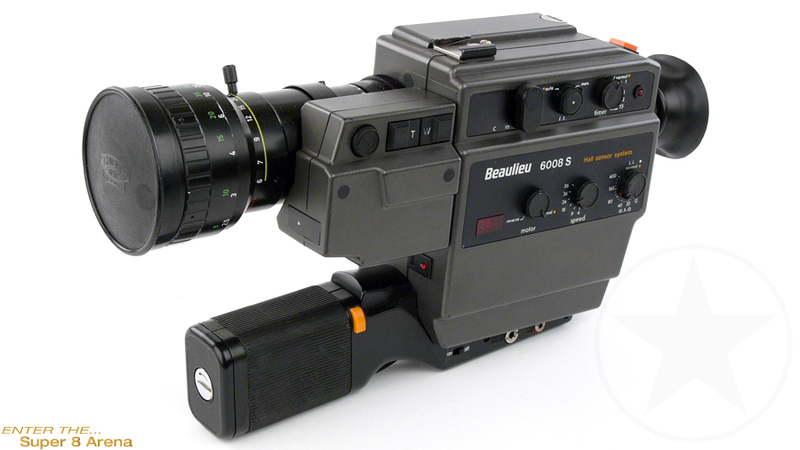 One of the best Super 8 cameras ever built. Has a mirror shutter reflex viewfinder, a full light system, which permits accurate focusing, a better definition of film, high magnification inside the viewfinder and the use of interchangeable lenses (e.g. 16mm) to achieve any effect desired. Precision optics made by Schneider Kreuznach, which give you almost unlimited creative scope. That's the difference between the Beaulieu and any other Super 8 camera make. Variable power zoom, macro lens, C-Mount lens interchangeability, intervalometer, flash socket, fades, 2nd trigger switch, LED frame counter.